I'm really liking the special holiday packaging this month! Rather than the typical boring brown, the blue with gold stars really makes me think of Christmas and New Year's. Very cute! 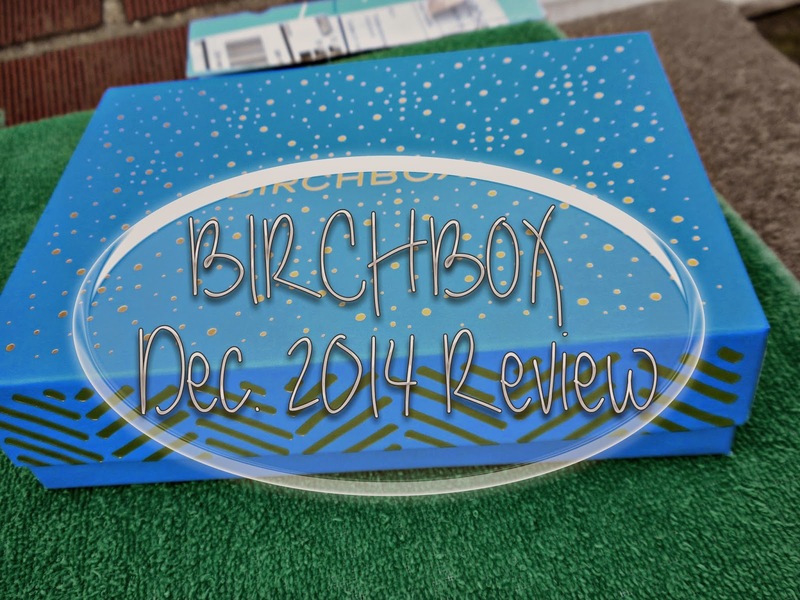 Usually I whine about how the Birchbox theme doesn't correlate with the products inside, and although that's still partially true, I think they tried. Between the blue and gold box, the free Gap gift card, and the rose gold eyeliner I received, I think that's as theme-y as Birchbox is going to get. I'm always looking to try new moisturizers, and I love receiving them in subscription boxes because those are the skincare items I run out of most often. I'll be trying this one at night since it doesn't have an SPF. I'll keep you updated and let you know what I think! This was a "choose-your-sample" last month, but I guess they still had extras lying around. I was actually curious about this mask, so it's cool that I get to try it even though I didn't pick it in November! This sounded like a cool product, but it arrived damaged. The cap was totally cracked and there was a huge dent in the bottle. Since it's an aerosol can, I'm kind of afraid to use it. I'm sure if I email Birchbox, they'll do the best they can to replace it, but it's still a major bummer. This was one of this month's "choose your sample" options, but even though I didn't pick it, I guess Birchbox decided I wanted it anyway. 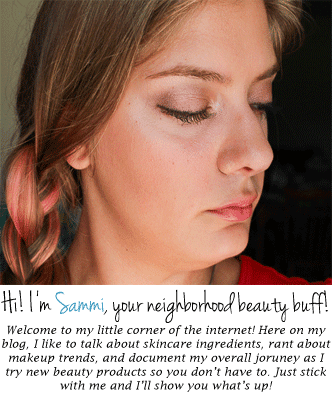 It's a pretty natural rose color, which is right up my alley. They call this a lip primer, lip gloss, and lip stain. This is a little longer lasting than a regular lip gloss, but I wouldn't say it's revolutionary or anything. One gripe I have about this is after you take off the label so you can open it, you can't see any of the information! I hate when companies do that! Plus it doesn't make any sense--why not just print it on the tube so consumers don't forget what brand they're using? Just me. See the swatch below. This was the sample I picked this month! I swatched this on my wrist (below) and it lasted all day. I was super impressed. It didn't even smudge or fade until I took a shower, where I washed it away completely. I'm not sure if it'll perform as well on my eyes, but I like it so far. The color is beautiful, so I'm excited to use it. I really want to try using it on my waterline to brighten the eyes like all the cool kids are doing these days, but my eyes can be sensitive, so anything I put there usually irritates my eyes or makes them water like crazy. We shall see. Swatched below. I really like both of these products! I think they would even make a nice look if used together. Hmm.... I'm feeling inspiration for a Face of the Day! The Best: I think I'm most excited to incorporate the Vasanti eyeliner and the Embryolisse moisturizer into my regular routine. The Worst: The fact that the Rusk spray came damaged just makes me a sad panda. The Verdict: I have the urge to say, "If I wanted to get those sample options, I would have picked them," since 3/5 of my items were made up of this and last month's choose-your-samples. But, I'm actually pretty happy with my box. If it wasn't for the damaged product, I'd say I'll use everything in this box. But we all have our bad days, and I swear the people at the post office play catch with all of our boxes and drop them from 10-story buildings so it might not even be their fault. But overall, this was a great box and I'll probably stay subscribed to Birchbox forever. Disclaimer: All photographs taken by me. I purchased this Birchbox with my own money. Not sponsored. No affiliate links. Just me livin' my life.